Andrasik, a captain in the Army National Guard, had been deployed in 2011 to Kandahar Airfield in Afghanistan. Nearby, in a small makeshift restaurant run by a Dutch chef, Andrasik and several other gluten-free soldiers gathered. They each had a gluten-free pizza crust, which hours before Andrasik had to rescue from the clutches of a higher-ranking officer who had just purposely thrown away all the other gluten-free food Andrasik was storing in a common refrigerator. Suffice it to say some fists were thrown. But the crusts, which Andrasik’s mother had sent from halfway around the world, got to the restaurant just fine. The chef had supplied sauce, toppings and miniature pizza cookers for the group. And the soldiers had what was probably the first ever gluten-free pizza party in Afghanistan. “Luckily, the first gluten-free pizza mission turned out to be a success,” Andrasik says. He estimates each 8-inch pizza cost about $30, a small price to pay for the meal his scrappy gluten-free group had identified as the one they missed most stationed so far from home. Andrasik, now working for the National Guard in Baltimore, came away from his year of deployment with other amazing gluten-free food tales. Some are stories of funny coincidence, others of ingenuity and hard work, more of deprivation and hardship. They’ve been put together in Andrasik’s book, Gluten-Free in Afghanistan, which was released last year. But the 30-year-old captain has a larger purpose than recounting his food war stories. The book is intended to raise awareness of celiac disease in general. Perhaps more important is Andrasik’s goal of getting the military to recognize the need for a gluten-free diet among soldiers and to provide them with more food choices. But Andrasik is proof that there are service men and women with these conditions who are in the armed forces. Andrasik says he never attempted to hide his celiac disease, which was diagnosed when he was in high school. When Andrasik joined the National Guard he was asked if he knew what he could and could not eat. When he said “yes,” the conclusion was that as long as he followed the diet he did not have the malabsorption issue that disallows someone from being in the military. He says he suspects that a recruit who answers the question differently and indicates that the gluten-free diet would be a challenge might not be allowed to join. The first clue there might be others who were gluten free in Kandahar came in the form of a package of gluten-free brownie mix left behind by another soldier. “When I realized there might be others, I wanted to start a gluten-free group,” Andrasik says. He made signs advertising a group meeting and a gluten-free website he had started, but they were quickly taken down and thrown out. The signs violated a NATO policy that prohibits advertising a website. After a bit of international negotiating, Andrasik was allowed to post some signs, and within two weeks a dozen people had responded. The first group meeting was held in a wooden shed in a motor pool in Kandahar. Only four of the 12 were able to attend, three of whom had been diagnosed with celiac disease. They told Andrasik they managed well enough but were willing to get sick if they had to when they could not find safe food. The soldiers’ reluctance to reveal their medical condition also stemmed from fear that it would lead to their being sent home or released by the military. Since this is what they most want to avoid, they are “willing to lay low and just kind of get by quietly with whatever options they have available,” Andrasik explains. In fact, many in the military cautioned Andrasik about drawing too much attention to issues related to having celiac disease or gluten intolerance. “Everyone I have met in the gluten-free military community greatly emphasizes that I should not be bringing it up or making a big deal of it, much less writing a story about it and publishing it,” he says. That’s how Andrasik sees himself as being the most different from others managing the gluten-free diet in the military. He says silence leads to a lack of recognition of the gluten-free diet and contrasts it with the way the armed services handle vegetarian and kosher meals. A few simple steps would make a big difference for gluten-free soldiers, in Andrasik’s view. The first would be to label the gluten-free foods the dining halls are already serving and to label allergens contained in all foods. The next would be to make a few inexpensive specialty gluten-free products available. Ultimately, Andrasik would love to see the military’s Meals Ready to Eat (MRE) available in a gluten-free version. He says service members can already request vegetarian or kosher MREs. Currently some components of these portable, freeze-dried, mix-with-water meals served in the field are gluten free, including peanut butter, fruits and vegetables. But none are completely gluten free, which means soldiers with celiac disease can’t eat some of the limited amount of food provided. “I’m not even picky. If you gave me an MRE that was truly gluten free, I don’t care what’s inside. I don’t even care if it tastes good. I would just be happy the option was there,” Andrasik says. Any steps the military would take would be worth the effort, according to Andrasik, who sees himself and other gluten-free soldiers as evidence that being on a gluten-free diet does not mean you can’t serve effectively. “The diet is an additional hardship in an environment that is already hard, but it’s not impossible,” he says, adding that at least 20 others with celiac disease have emailed him to say they have served without a problem. Still, some of his tales from Kandahar are chilling. He lost nearly 40 pounds in the year he was deployed, about 20 percent of his 178-pound starting weight. His efforts to stick with the gluten-free diet were tripped up by events from the small and mundane to the sweeping and global. He had trouble with gluten-free oatmeal that he thinks really wasn’t and hot chocolate that had enough cross-contamination to make him ill. Once, rockets were fired as Andrasik was battling some of the stomach issues common to celiac disease. Although required to be in a bunker or laying flat on the ground, he instead dashed for the port-a-john, calculating that it was a necessary risk. Then international terrorism came into play when Andrasik saw the limited naturally gluten-free options available in Kandahar dwindle after Osama bin Laden was killed by U.S. Navy seals. Pakistan closed its borders and supply trucks couldn’t get through. “With fewer and fewer options, my diet became ‘find and eat anything gluten free’,” he writes. He continued to lose weight and struggled to get enough food. “I was literally starving, and I started searching for new sources of food and taking risks when I did not fully understand the ingredients or was pressed for time,” he recounts. One officer thought he had an eating disorder and others wondered if he was war weary or depressed. 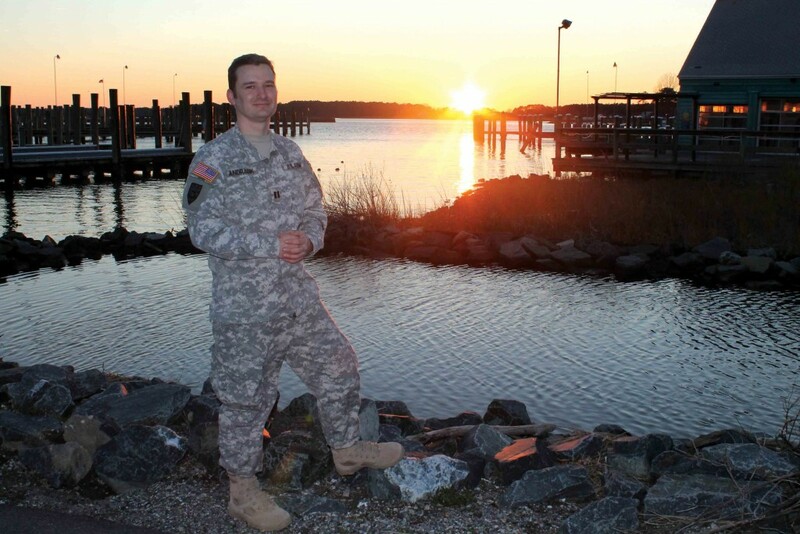 A chaplain on base noticed Andrasik’s struggle and connected him with the Family Readiness Group, an Army organization that helps support and assist soldiers. Soon he began receiving packages of gluten-free foods from the group to build up his dwindling supply. From the beginning Andrasik had invested a lot of effort in identifying what he could eat in the dining hall, and as new supply routes were found these foods returned. All along Andrasik’s wife, Meredith, and other family members had been shipping him gluten-free items, and these were now getting through, too. Additionally, he had access to the Internet and was able to order products himself. Midway through his deployment, Andrasik was also lucky enough to meet the Dutch chef, identified in the book as Frank. The first time he visited the chef’s restaurant, he explained his gluten-free diet and ordered a burger. But he was told the burger contained flour and that he should come back the next day so the kitchen could be cleaned. When Andrasik returned he was served a lightly seasoned steak, mashed potatoes and a vegetable medley. “Six months later as I was leaving, Frank confided that he had to look up gluten-free on the Internet that night,” Andrasik says. He’s clearly indebted to the chef and counts the meals he had in the restaurant among the high points of his deployment. It’s now been a little more than a year since Andrasik returned to the U.S. He’s gained back all the weight he lost. While he’s glad to have abundant gluten-free options, he’s happier about being home with his wife and two children. He says the separation from them was much harder than dealing with the gluten-free diet. But he has not forgotten what it was like to be gluten free in Afghanistan. He thinks often of soldiers who are not officers and don’t have some the advantages that brings – Internet access, a salary sufficient to cover the cost of ordering gluten-free food, and deployment spent mainly at a big post with storage space. “I don’t know what their resources are and what kind of network they have back home. Younger troops tend to be single, they don’t have the income, they might be out in the field a bit more where the resources are fewer and further between,” he explains. His book is for them, a push to get the military to make some important changes. He sees the book as his shot at doing something that could have a larger impact. He has sent copies to people in the military trying to get the attention of someone with decision-making power. So far he’s still waiting for that to happen. But he’s hopeful. 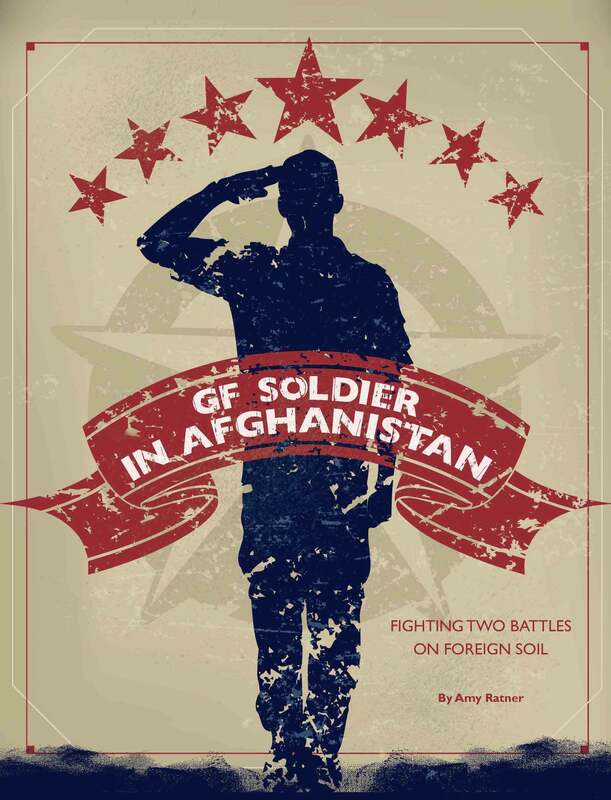 Gluten Free in Afghanistan is available on the Kindle and Nook and at amazon.com. Cynthia O. Smith, spokesperson for the Department of Defense says the official policy is that you cannot join the military if you require a gluten-free diet. “A person with celiac disease and/or a gluten intolerance or sensitivity would not be eligible for entry into the military,” she says. While each branch of service has its own enlistment standards, they do need to follow medical policies dictated by the Department of Defense. What is the problem with celiac disease?